awww Bekah, it will work itself out, it just takes a little..or a lot of time! The doctor is right, babies get sick, they get well, and they get sick again....for years!! Jack is cutting teeth, and that in and of itself is cause enough. Don't be too hard on yourself...or the flowers! A better day is just around the corner. If you guys need a vacation to get away from it all....remember we have a cabin in Colorado....you guys could go and be alone for a week....I have openings....and I'll cut you a deal.....a penny is the rental for you guys!!! My precious sister! This breaks my heart! While I can't imagine what you are feeling, I do believe that the love that was poured into your home does not end in that house. Your home is where you are with the family God gave you, and God will give you a safe house to hold that family. Right now, He wants you to be with them and HIM under pink insulation! I know this situation doesn't make any sense, I mean, I don't get it at all! And you deserve this time to grieve for what is going on, please know I would never try to take that away from you! Just know I love you and I'm super proud of you sister! And I think you should take the cabin deal! SWEET! 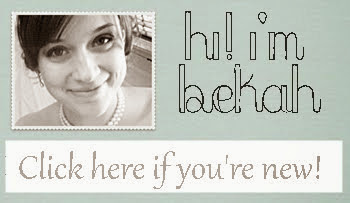 Hi Bekah, I am sorry to hear about your moldy house..so sad..I hope it gets resolved pretty soon. We will find a way to keep his room. I'm so sorry my love. I love you! I have no words of wisdom but i hope it helps to know how proud I am of you. You are a fantastic daughter, great wife to a fine man and a wonderful mother to a handsome little man. Hang in there! Can I help at all? I keep praying that this comes to a happy conclusion quickly for you but it doesn't seem to be. I'm so sorry. If there's anything I can do to help, please let me know! And on a side note, Jaime spent the better of six(!) months sick with various colds and things while he was teething... 6 straight months. :) Jack will get better, just gotta give him some time! Until then, whens the last time you went out for a pedicure? Being torn out of someplace that you love is not easy. You barely got enough time to feel settled, and then you were gone. Things will improve, they have to. I believe that they will, and so do you. I love that quote, "it's always darkest, before the dawn." That really rings true here, there is one bright morning coming for you. And I can hardly wait to see what it shows. Oh wow! I don't quite know what's going on since I've been gone for a bit, but this doesn't sound good at all. And Jack's room is super adorable! I remember when I was pregnant that her nursery was my most treasure project of all our home renovations that I was trying to accomplish. Stay strong and know that God does have a plan. And the most important thing is that you have your family with you all safe and sound. this is just crazy. wow. you will have a story of faith to share in the end. There is NO WAY you could have known, so don't beat yourself up! We had mold in the insulation of the baby's room that we only found becuz before he was born, Daryl realized how hard it was stripping 2-3 layers of wall paper over paint over wallpaper. So he opted to pull down the dry wall and thankfully he did, cuz we wouldn't have known! Mold is sneaky and tricky. Don't get too upset (I know, easier said than done) becuz no matter what, you have your sweet baby boy and hubby and all of your HEALTH. And that is what is most important. Now, go get a pedicure or a massage and try to do something that will relax you! YOu dserve it!